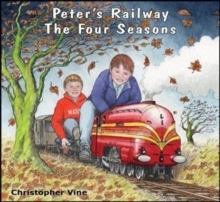 The author had spent six years building a 7-1/4" gauge model of an LNER B1 locomotive, 'Bongo', and wanted to paint it to a high standard. This turned out to be easier said than done. The complete process of painting, lining and reassembly of Bongo took two years of frustration, mistakes and wrong directions but, finally, he won a gold medal at the 2004 Model Engineer Exhibition and the Charles Kennion Memorial Trophy for the best finished model in the show. It was this success, together with the lack of published help on the subject, that led to his decision to put pen to paper. This is not an academic treatise on painting, but a practical 'cook book' from someone who did finally achieve a good result, starting from zero knowledge. 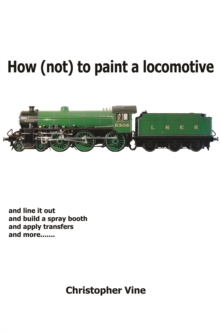 With 168 pages, 130 colour photographs and 30 diagrams, this book takes the beginner through all the necessary stages and processes in painting a model engineering subject. It includes selection and making of equipment, paint, preparation, spray and hand painting, fixing blemishes, lining, transfers, tips on how to look after the paintwork and a list of suppliers. The many trials, tribulations and disappointments are related, together with the author's solutions to them. It was only when the job was finished and sense of humour restored that people admitted that they had hardly dared to visit any longer because of the endless tales of woe and disaster: Paint running, rough finish, dust, insects, touching the still wet paint, dropping the tender, power failure in the middle of a job, faulty paint, water in the air supply...If the reader avoids just one of these pitfalls then the cost of the book will have been saved, perhaps several times over.